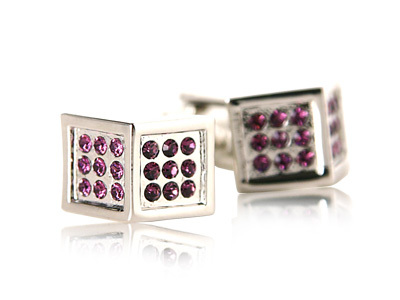 Wear Angled Crystal Cufflinks to work and watch your coworkers stare in awe at the 36 purple crystals that exude panache. 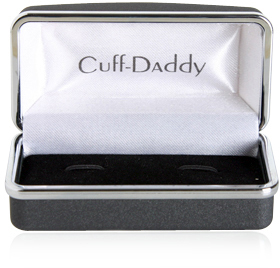 Each cufflink includes 18 of the crystals, with nine to each side of the cufflink top. 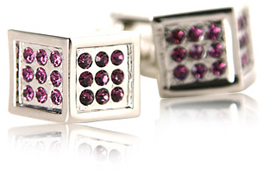 These cufflinks also make great fashion accessories for more flamboyant wardrobes. 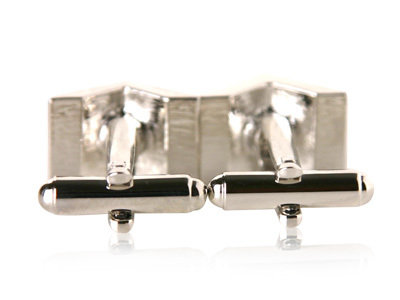 Think of the 1970s disco craze and you have an eye opener anytime your wear this pair of cufflinks to a nightclub. 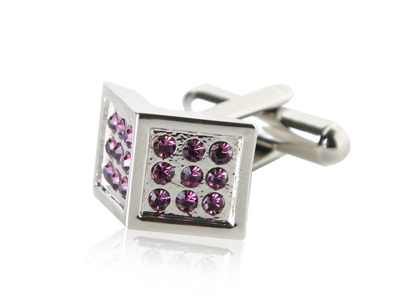 Our product warranty means anyone that you give the cufflinks to can expect to go through several outfits on just one set of cufflinks. I like that these cufflinks aren't flat. It gives it an interesting depth. I like the shape that the amethyst is arranged in.